SAN MARCOS – “Show time” for a multi-media exhibit that resulted from the collaborative efforts of the Lyndon Baines Johnson Museum of San Marcos and Texas State University-San Marcos has been extended. The exhibit, funded in part by a grant from Humanities Texas, is titled “Remembering LBJ and His Legacy: Local Recollections – An Oral History Project.” The exhibit opened in late August last year. It is the museum’s first interactive exhibit and includes oral history text, photographs and an interactive kiosk of audio clips and other items evolving from the university-sponsored oral history project. 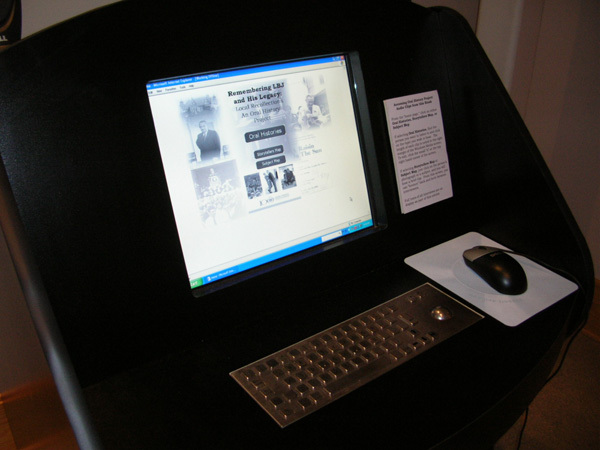 Equipment and display panels made possible by the Humanities Texas grant added features that the museum had been missing since its opening on Dec. 6, 2006 – interactive capabilities and better portable components that enable the transport of exhibit elements to off-site venues. “I convinced Museum Director Scott Jordan to extend the exhibit through a good part of the summer because so many people tell me that they still haven’t gone by the museum to see it, even though they’ve been ‘meaning to,’” says LBJ Museum Board President Pat Murdock. 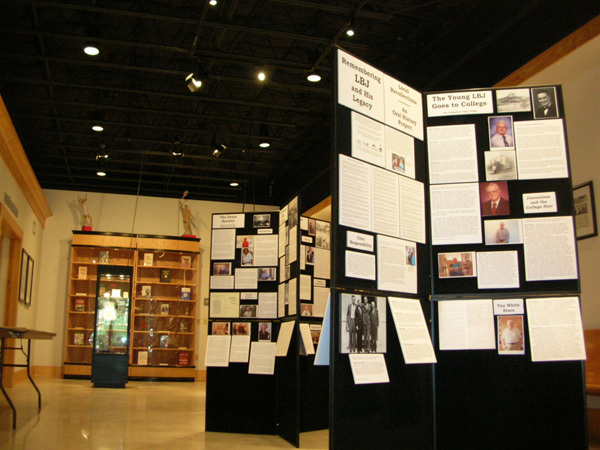 The LBJ Museum of San Marcos, located on the courthouse square in downtown San Marcos, is open from 1 to 5 p.m. Thursdays, Fridays and Sundays and from 10 a.m. to 5 p.m. Saturdays. There is no charge for admission but contributions are appreciated. The museum is a 501C (3) non-profit. To arrange a special museum visit outside of the scheduled open hours, call Jordan at 353-3300.